Looking for a free Windows 7 product key? I tried to find one and I did find one. So if your voyage to find a Windows 7 product key free only hasn’t shored anywhere yet, it might now. Read on. Well, the cost is to read this interesting story through. Take five minutes and readon. Thanks. Windows 7 Product Key free. I bought a new PC yesterday. I am used to work on Windows 7 for last few years and since I find it more intuitive as compare to windows 8 or windows 10 I decided to stick to it. Hence I got a copy of Windows 7 (dont ask where from) and installed Windows 7 professional in my new pc. If you are an Indian, you might know that when you install a pirated Windows operating system on your new pc, most would recommend you to turn off the automatic Windows updates so that Microsoft would not detect the pirated use of Windows on your PC. Most home users would survive while doing it anyways. But I may not. As a web developer I need to install lots of softwares, such as Development Kits, IDEs and envoirnments such as WAMP on my PC for PHP, APACHE, MYSQL development support. To make them work properly on Windows it would require to install various Visual C++ updates and in addition to few others, it would require latest Windows Service Packs installed to run it correctly, and so on. So all I wanted to say is, if you are a die hard Windows user keep your windows upto date always, whatever version you use. Considering all this. I decided to turn automatic updates on and be prepared for the consequences! So my next search was to find a Free Windows 7 Professional Product Key as you wont get new one from Microsoft as they no more sell it directly on their website, as far as I know. Also, I thought that it was too expensive to have one from Microsoft. In my adventure trip to find a free Windows 7 Professional Product Key I added some valuable traffic advantages to some of clever bloggers who benefit from very popular keyword searches such as Windows 7 Product Key free or Windows 7 Professional Product Key free. As expected, none of the listed Windows 7 Product Key would work. I tried a few more and nothing happened. I had spent around an hour till now, trying different things to get my Windows validated and nothing happened. As expected, some of the Windows 7 Product key sellers advertised their websites on these blog posts. They sold Windows 7 Professional for around $30. I was unwilling to pay this much so I continued to search for cheaper or so called free product key. My insanity hasn’t paid yet again! Being a web developer I realize that if you are using for very useful software there is harldy anything free . So after wasting time once again in search of freebie I have diverted my search now to less expensive alternates. My search had already cost me around one and half hour now. I was reluctant to chase this mirage to find a free Windows 7 Professional Product key. Hence, as I said I tried to find less expensive alternates and I found one below, which is not FREE but it is equal to or more than free when you look back at the time you spent on chasing the misleading and absolutely NOT WORKING KEYS and METHODS to activate Windows. 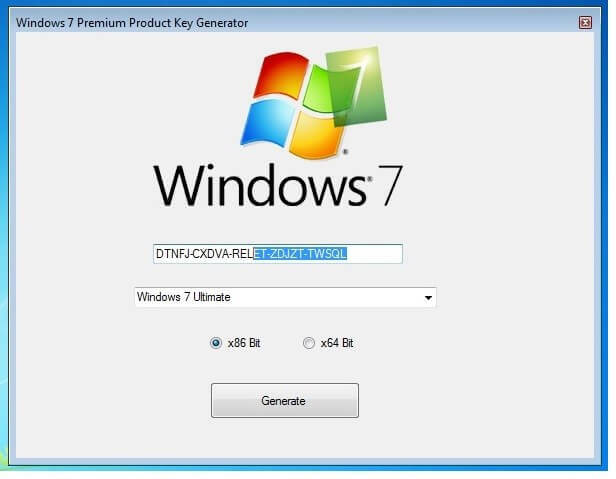 You may also find posts such that, “How to activate Windows 7 Professional without product key”. Believe me if you are going to follow them all you are doing is going to be in vain. Are those keys really scrap? I believe that there might be some keys posted by these bloggers which they find from somewhere and post it on their blog. It might work for some VERY LUCKY first come visitors but most of them are definitely wasting a lot of their time trying these keys and getting no where. On that, some of the bloggers has posted false keys. FREE KEYS which in fact are not even this legitimate that Microsoft would consider them to be ready for a validation check! So where is the free Windows 7 Professional Product key? If I save you an hour searching for a FREE KEY in vain and ask you to purchase a VALID 100% WORKING Windows 7 Professional product key for mere $9 bucks from an authenticated buyer on ebay here, would you not call it FREE? I bought one for $9 and received an instant message from the seller with a VALID PRODUCT KEY within a minute! Note that I am not a seller of such a key and I am writing this post only to save you valuable time. If you are free bird having whole or even half day to spend go on with FREEBIE search and If you find a free Product KEY please also let me know and I will share it with my readers as well. Remember that the key you receive are NEVER USED BEFORE and you are the first time user of these keys. I am listing few other links where you could buy a valid Windows 7 Professional product key for under $10.